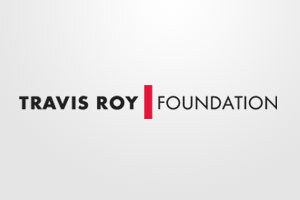 The Travis Roy Foundation is currently funding 3 research projects dedicated to improving the lives of those with spinal cord injuries. The goal of Dr. Jason Carmel’s laboratory at The Burke Medical Research Institute is to improve arm and hand function in people living with paralysis. Their approach has been to use electrical stimulation to strengthen connections between the brain and spinal cord. Injury to the spinal cord in the neck disrupts the nerve fiber connections between the brain and the parts of the spinal cord that control voluntary movement. 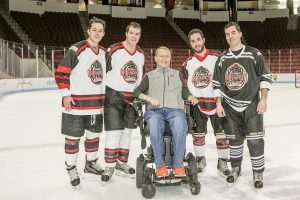 Dr. Jeffery Macklis’s research at Harvard University focuses on the corticospinal system, which connects nerve cells in the brain to nerve cells in the spinal cord that influence active movement. These pathways are often damaged in spinal cord injuries, and recovery could be vital in reversing paralysis in the future. We are also supporting The Big Idea, a project developed by The Christopher and Dana Reeve Foundation and led by Susan Harkema, PhD, at the University of Louisville. Her team is evaluating the efficacy of epidural stimulation in improving autonomic functions (including bowel and bladder control, sexual function, temperature regulation, and respiratory function), and active, purposeful movement below the injury level. A Conversation with Dr. Jason Carmel…. 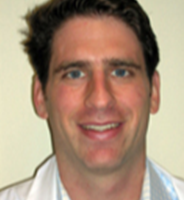 Meet Dr. Carmel, one of our research grant recipients.